Hey, everybody -- It's Facebook Fridays Time! Dateline: Friday January 10, 2014. It's winter, it's cold, and we could all use a little love to snuggle in. 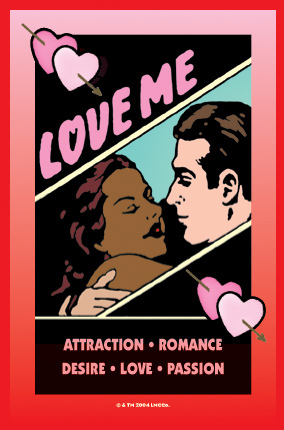 Whether it's heating up an existing relationship or seeking a new romance, Lucky Mojo's line of "Love Me" products is a wonderful way to warm up your world. This week's giveway will enrich the love lives of SEVEN lucky winners. 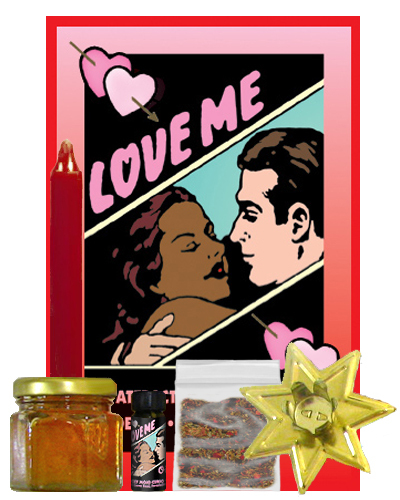 We'll be giving away one Love/Romance Honey Jar spell kit, one ultra-classic Love Me Mojo Hand, a Love Me glass-encased vigil candle, a bottle of Love Me oil, and one each of our Love Me sachet powders, incense powders and bath crystals. All you have to do to enter is to go to the Lucky Mojo Facebook page, scroll down, and post a comment to the Facebook Fridays! status message for January 10, 2014. Early tommorow morning, we will select seven winners at random, announce their names here, contact them via Facebook to get their mailing addresses, and send them their FREE Love Me products. We have a winner! In fact, we have SEVEN lucky winners! Our Facebook Fridays Giveaway winners for January 10, 2014 are: Javier Alcala, Amanda Marilyn, Thomas White, Brandi Boyd, Kevin Seymour, Angel Schapp, Michael Woomert.